Wherever people have sailed, be it across the seas, over the mountains, or through open space, there have always been tales of lost ships, the ghost ships: The Flying Dutchman, the Mary Celeste, the Edmund Fitzgerald, and on and on. And so goes the Heade-On-The-Hearth, a warship in the League’s Fleet like many others, she has assumed a unique place in the lore of inter-stellar shipping, the demon ship that comes upon one in the emptiness where there is no help. The Heade-On-The-Hearth was launched from Tusck port, Station Indigo, Onaris in 002452AX. She was a Webber-Class warship, a standard Fleet design that took up the bulk of the serviceable fleet back in the early days. The Webbers were an ugly, functional ship that featured an open gantry system laced with removable crew, cargo and engineering pods that could be configured in a variety of ways such that no two Webbers were exactly alike. The Stellar Mach Coil was a dangerous and somewhat unpredictable power system at the time and was housed in the starboard faring well away from the crew areas. The Webber fleet was eventually superceded by the larger, more modern Straylight class ships. She was named after a city on Onaris, as is customary. The Heade served for only a short period of time. Shortly after her maiden voyage, she was conscripted into battle with the Xaphan armada at Sorrander-Quo. There, she sustained major damage to her starboard fairing and had to be towed from the theatre. Eventually she was scuttled and left to drift in The Kills region of space. She was removed from the Fleet’s active books. Several months later, mariners began issuing warning of a pirate ship sailing the deep sea between Kana and Onaris. Witnesses claimed a black Webber ship came at them from nowhere bent on theft and mayhem, a ship missing its starboard faring. Eventually the name of the offending ship reached the ears of the Fleet admiralty: the Heade-On-The-Hearth was doing the pirating. An investigation of The Kills revealed that her hulk was missing. It was later discovered that a band of pirates from Onaris, the Drury Brothers as they were known, had stolen the Heade from The Kills, strapped on a set of old Woburn rocket engines and brought the Heade back to life. The Druries used the Heade to great effect, able to fall on the weak and helpless and flee just before any dispatched to stop them could arrive. Eventually the Fleet set a trap for the Druries off of Exeter’s Belt (a nebula eventually renamed Druries Belt). The Druries took the bait and, in the ship battle that followed, were sunk by the Fleet after hours of fierce fighting. The Drury Brothers soon returned alive and well in their Heade-On-The-Hearth ghost ship. The Fleet, convinced they were dead, scoffed at the notion, however, ship after ship were accosted they were forced to act and face the Druries again. 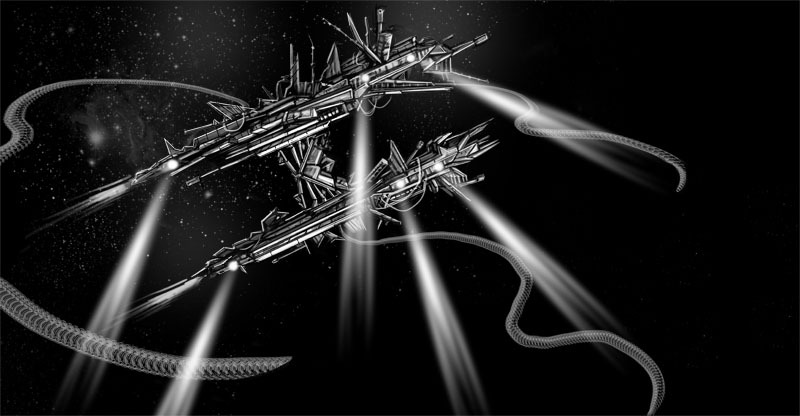 The Fleet, in concert with local authorities, sunk the Heade over a hundred times only to have it return from the dead over and over, and, with each resurrection, she came back more odd, more sinister, bristling with alien weaponry and dark accessories strapped to its gantries. 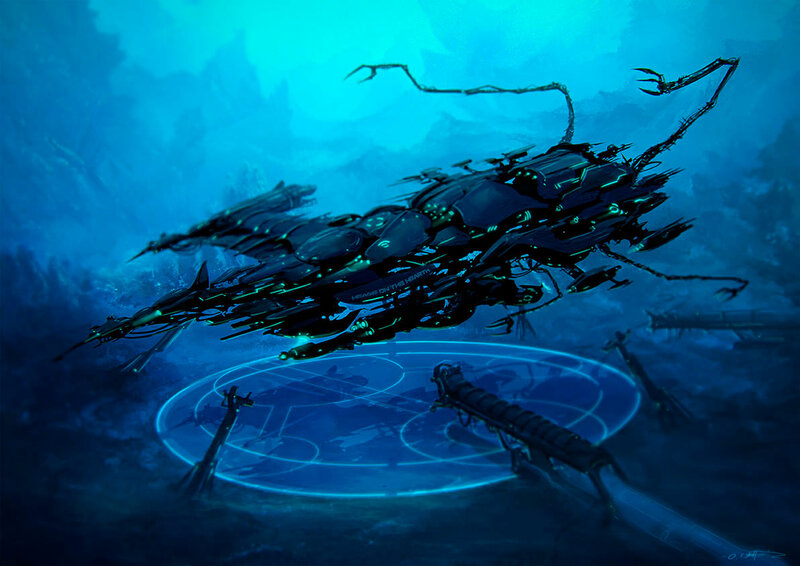 Eventually, the sightings died down, and the Druries and their black ghost ship faded into lore. On the new world of Bazz, they said the Devil had a new assignment for the Druries, to feed his children. They still say if one dare to venture alone from Kana to Onaris and one wander off the shipping lanes, the Druries will get you.